Every pet owner wonders what their beloved four-legged friends get up to when they're not around. It's easy to assume that they spend their days sleeping, chewing on the furniture or even barking at the mailman, but sometimes our dogs get into WAY more trouble than that. 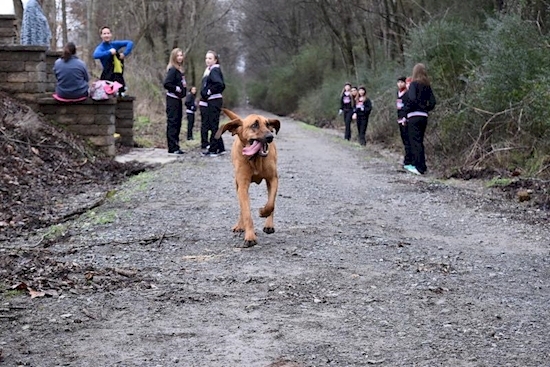 Meet Ludivine — a dog who accomplished a whole lot when she escaped her backyard. ...No, she found herself right in the middle of something extraordinary. 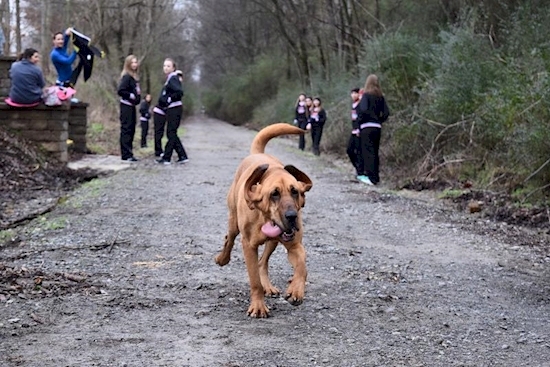 As it turns out, Ludivine had noticed several participants of the Elkmont Half Marathon running along the track located behind her house. Wanting to partake in the event, Ludivine began running alongside all of the marathon runners! 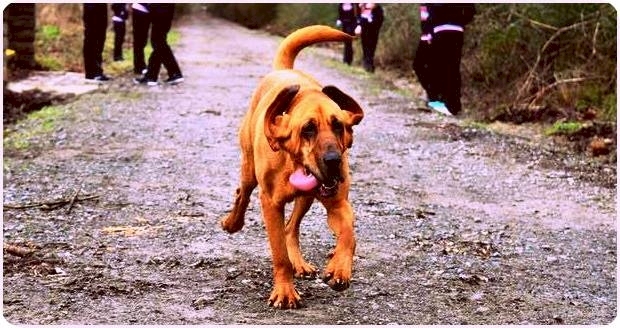 But while most dogs would grow tired of running for no reason, Ludivine never gave up. In fact, she participated in the rest of the marathon! But while Ludivine was busy completing the 13.1 mile race, and doing so in an amazing time of 1:32:56, April hadn't even noticed her absence! 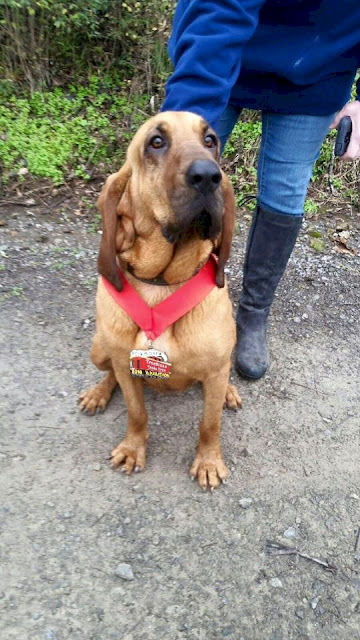 In fact, it wasn't until she received a photo of Ludivine wearing a medal at the end of the race that April realized her dog was gone. Ludivine ended up being the seventh participant in the marathon to cross the finish line — a feat that April still can't believe because, as she explains, "[Ludivine] is actually really lazy." 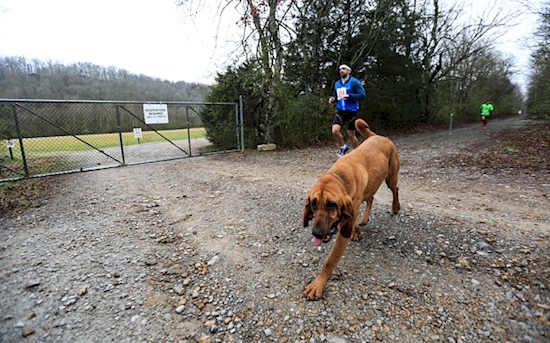 Regardless, April's pet bloodhound impressed everyone at the race with her determination and refusal to quit. 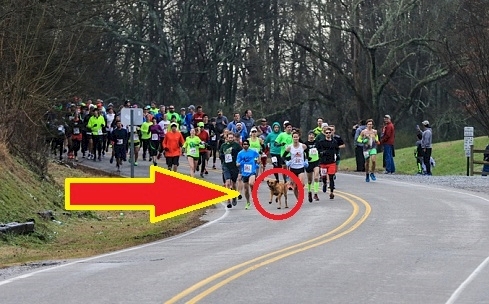 It's hard to say whether or not she knew what she was doing, but at the end of the day, the dog still placed in the top 10 of a pretty big race. 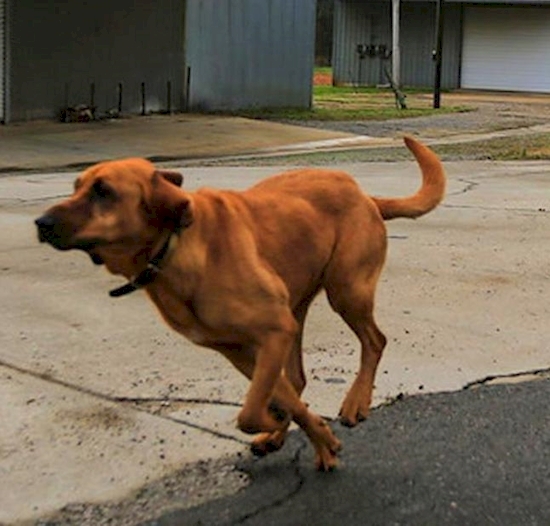 It's amazing what our pets can do with just a little bit of freedom — whether we know about it or not! The other participants in the marathon were happy to run alongside such a loyal and dedicated runner as Ludivine, and the organizers of the marathon are happy that this story has brought so much attention to their event!